The catch of the day for this week is beautiful filet of Long Island fluke. I decided to make this healthy by cooking it simply en papillote, steamed in parchment with scallion and ginger with shiitake mushrooms. 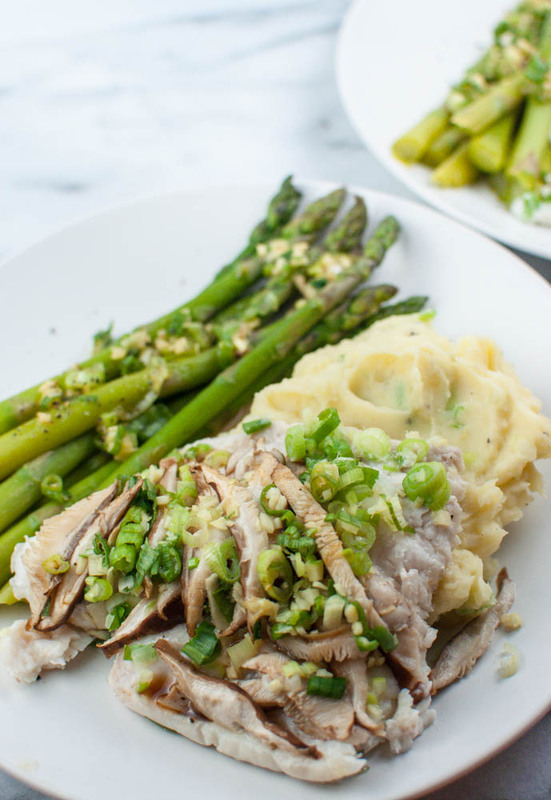 With a side of creamy yet spicy wasabi mashed potatoes with scallions and steamed asparagus, this was filling yet incredibly light.